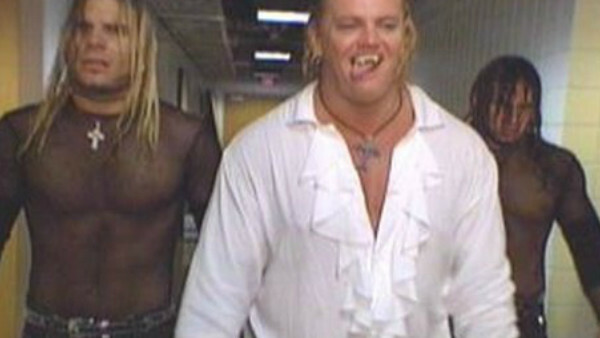 Backing up Gangrel as blood-sucking vampires did Edge and Christian the world of good. It gave both some purpose on the roster, and The Brood was a nice launching point for the latter's WWE career. After it ended in the summer of 1999, E&C were well-placed to become a fixture of the tag division. Just like their successors, The Hardy Boyz. The 'New' Broo - formed when Gangrel aligned with his old team's rivals - lasted less than two full months. The timing was vicious for owner one of the Attitude Era's best entrances; the hilariously-titled Terri Invitational Tournament (T.I.T) had fans clamouring to see more from both young teams. That left Gangrel, the main member of the group, out in the cold, and WWE moved on. Curiously enough, The Hardyz had formed another brief union with Michael Hayes before leaving him to replace Edge and Christian in The Brood. That, just like their relationship with Gangrel, was something that didn't last.